The Mansfield Animal Shelter is one of the most active shelters in Southeastern Massachusetts. The shelter has one of the highest adoption rates and an excellent reputation. Shelter animals are cared for every day of the year by a group of volunteers, and by the Animal Control Officer. Veterinary expenses are paid for by your donations and adoption fees, not by the Town of Mansfield, through the non-profit Mansfield Shelter Friends, Inc. The shelter only accepts animals that are surrendered or found stray in the Town of Mansfield. 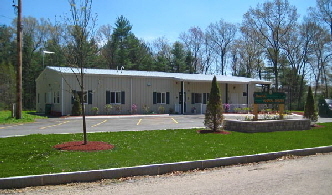 Mansfield Shelter Friends, Inc. (MSF) is a non-profit organization incorporated under the laws of the Commonwealth of Massachusetts in 1998 to raise money for the care and maintenance of the animals at the Mansfield Animal Shelter. Click for a donation form. For questions, our email address is msf@mansfieldshelter.org. 3) assisting the Shelter in outreach efforts to find homes and foster homes for animals under the Shelter’s care and recruit volunteers for the Shelter and MSF, Inc.